Personalised Black Sequin Drawstring Bag. 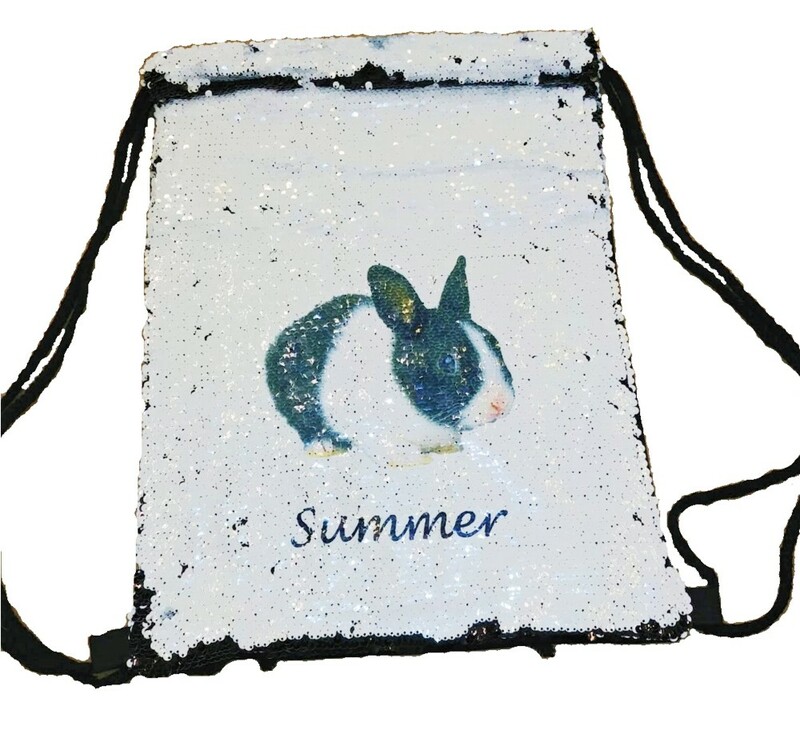 The front of the bag is made entirely from reversible sequins, one side is black and the other side is white ready for you personalised image and text to be revealed! Personalise the front of the bag with your image and/or text. The bag measures 34 x 45cm and the back of the bag is made from black suede fabric. This is a high quality well made bag. Please note sequins will not move in the same directions every time so printed name / image can appear patchy. This is normal for any sequin product.